US Consumers May Be Able To Spend-But Are They Willing? If So, What Are The Likely Scenarios For USD, Other Currencies? The following is a partial summary of the conclusions from the fxempire.com weekly analysts’ meeting in which we share thoughts about key developments worth a special report. This one is a critique of a James Kostohryz’s recently released 2014 Q2-Q4 US forecast. Our focus is on its implications for forex traders, although much of it applies for all markets. Here are Kostohryz’s main points. 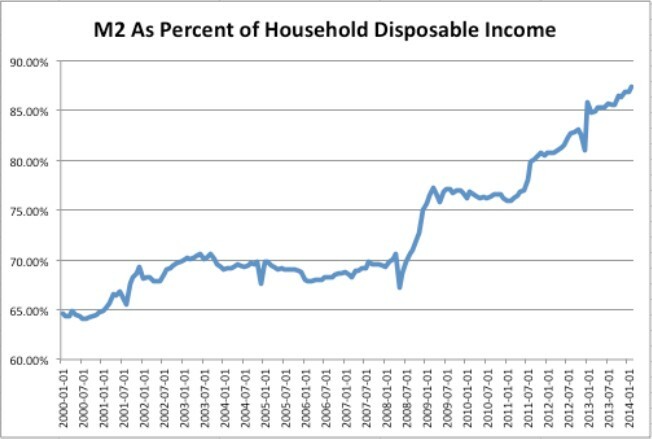 Rising Consumer Spending: Improved liquidity plus rising pent-up demand for US households will drive consumer spending. Beneficiaries include the consumer durables, and discretionaries sectors. Rising Business Spending: Similarly improved liquidity plus rising pent-up demand will drive higher capex spending and hiring. Rising Yields: Benchmark US 10 year note yield to 3.5% level at some point in 2014 in reaction to the above points 1-3. Rising Volatility: Financial market volatility to increase for the rest of 2014 due to the above factors. Specifically, high anxiety in credit markets about rising yields could infect the bull market in risk currencies, stocks, and other risk assets. This is a valuable forecast, well written and thought out. That said, we see two main flaws. It rests on an uncertain belief that the US consumer is ready to spend. It assumes US growth necessarily brings a stronger US Dollar. Not necessarily. Critique: Are US Consumers May Be Ready To Spend-But Are They Willing? The accuracy of Kostohryz’s forecasts rests on whether or not he’s right that consumer spending will greatly exceed expectations for the rest of 2014. The other predictions mostly follow from that, as we discuss below. 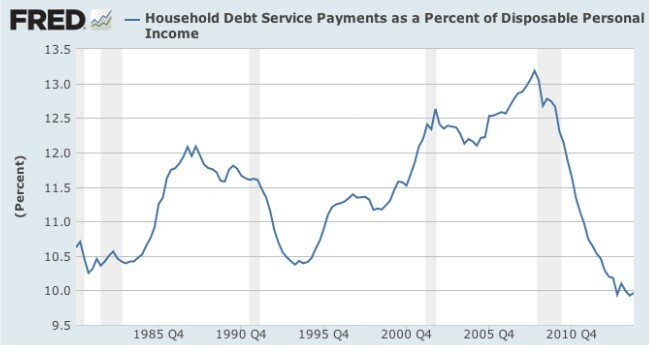 He makes a compelling case that consumers have cut debt and built up cash. Here are the highlights. They May Be Able, But Are They Really Willing? However he fails to make a compelling case that they’re willing to accelerate spending in 2014. Evidence of soaring consumer confidence, new jobs and income growth would have made a compelling case for a wave of consumer spending. As Kostohryz himself admits, increased hiring feeds consumer confidence, and rising consumer confidence feeds hiring as businesses expand to meet anticipated capacity. The two data points feed each other. He notes these are improving, but does not present evidence that these are set for a sudden rapid increase in 2014. That’s understandable, the data isn’t there yet. Even if it were, the timing of when fundamental factors impact other data, and markets, is notoriously difficult. We’d add that there are reasons to believe consumers may choose to continue to increase their liquidity rather than spending. No Rapid Increase In Job & Income Growth: The continued weak job and income growth should keep limit speed and extent of spending growth. For example, the most recent jobs report affirmed the current picture of steady but slow improvement. While positive, that’s unlikely to unleash soaring consumer confidence and spending. No Burst Of Consumer Confidence: Given the lack of rapid job and wage growth, why should we anticipate a sudden burst in consumer confidence? If anything, the likely best case outcome is that it too will improve at a modest pace, in line with recent data. Meanwhile, there are reasons to worse outcomes for the consumer spending needed to drive the rest of Kostohryz’s forecast. –The emotional trauma of the great recession combined with lack of robust income growth could keep consumer spending increases subdued. –The forecast dealt with aggregate figures. We don’t know if the improvements he cites are broad based enough to generate spending increases. If they’re concentrated in the affluent sectors that spend proportionally less of their incomes, that too could limit spending increases. –Kostohryz downplays the effects of the large cohort of baby-boomers’ reducing spending to prepare for or fund retirements. He asserts that the effects of such long term secular trends are gradual and thus minor for periods less than about a decade, and thus they can’t drown out the spending increase of a shorter term cyclical recovery. Does he have data suggesting that general idea applies today? If he’s speaking in general terms, he’s likely underestimating boomers’ continued zeal to save. This time may indeed be different. 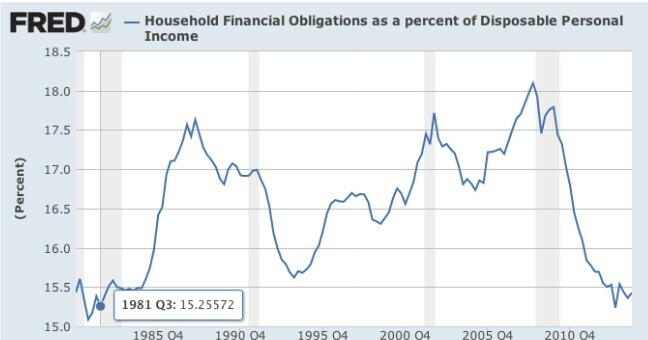 –Remember that we’re talking about a large sector of the population that did not have exceptionally high savings/debt ratio before the Great Recession. Even if they’ve recovered their prior levels of savings and income (? ), they’re 7 years older and need to make up for lost time. They’ve chosen a bad time to try that. —Interest rates remain historically low, that limit their ability to build savings even in nominal terms. Even an increase from the current ~2.79% yield on a 10 year T-note to Kostohyrz’s forecasted rate spike to ~3.5% is still historically low. From 1962 -2013, the average yield on these has been 6.25%. That lack of competition from bonds has driven down stock dividend yields as well, as yield seekers have bid up prices on dividend yield stocks. 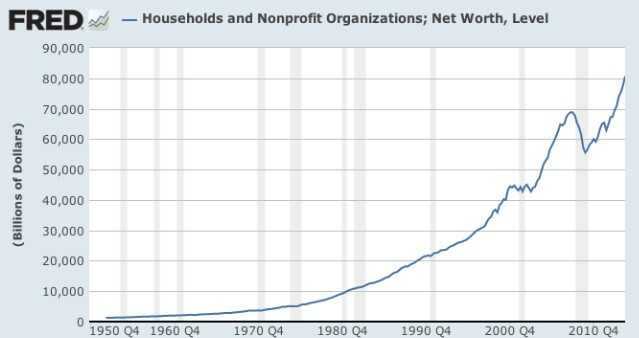 Kostohyrz does show that in aggregate household net worth is at an all-time high, but he doesn’t show data that answers questions about whether that net worth increase is distributed widely enough to fuel new spending, or how widely distributed it needs to be. The affluent spend lower proportions of their income, but spend more and on a wider variety of goods and services. Liquidity trap: The advent of unprecedented forms of Fed stimulus puts us in uncharted territory in many ways. 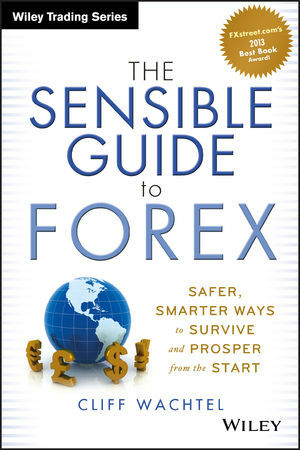 For example, we face the risk of the dreaded “Liquidity Trap.” As Richard Koo of Nomura has repeatedly warned, QE softens recessions but makes recovery, and raising interest rates, harder because each time rates look set to rise towards historical norms, markets, consumers, and businesses get nervous and cut back spending in fear of the effects of higher rates. So improving jobs and spending data that raises rate fears could create a ‘two steps forward one stop back’ type of recovery. See here, here and here for details. Then of course there are the bearish “black swan” events, most of which Kostohryz lists under his section on potential risks to his forecasts. They’re well known, low probability events but there are a number of them, they’re all bearish, and it only takes the threat of one to hit the business and consumer confidence on which this forecast depends. These include a harder China slowdown, escalation in tensions between China and Japan, Russia and the West, etc. Although he lists an EU relapse among these, he does not note that the EU sovereign debt and banking crisis is a more probable threat than the others and has a much better chance of returning than market prices (especially of European stocks and bonds) reflects. We’ve discussed why this is so in a series of reports over the past months, which cover the EU’s failure to achieve an effective bank union deal and the risks this entails, see here, here and here. – The EU’s fundamental flaw remains: As flawed a deal as it is, even this dangerously flawed common rulebook for handling bank failures is in danger of unravelling due to a last minute dispute over the fine print restricting when a state can intervene to rescue a struggling bank. See here for details. The dispute is yet another example of the EU’s fundamental flaw – no one really wants to cede the sovereign powers to a central authority that are needed to make the EU function successfully as a single economic and currency zone. – Meanwhile, the EU remains almost as dysfunctional as ever. The ECB’s OMT program and bold promises to do whatever it takes to save the EU merely calmed markets and bought time. Meanwhile the crisis is not only still alive, it’s moving from the periphery to the core. See here for details. In sum Kostohryz makes a compelling case that US consumers are more capable of a spending more. He falls short of making an equally convincing argument that consumer spending will exceed expectations in 2014 enough to drive all else that he predicts will follow from it this year. Now let’s look at some specific implications for the USD and forex markets (though again, much of the below applies to most investors, particularly if they understand the distinction between risk and safe haven assets and currencies, and how they correlate. We caution that these labels are deceptive and do not necessarily refer to level of risk at a given time. Even if we assume that consumer and business spending spikes higher in 2014, USD strength doesn’t necessarily follow. In fact if US rates don’t rise (or aren’t expected to rise) versus those of other currencies, AND we get solid US growth, the USD would likely weaken. For those not familiar with currency markets, here’s a quick explanation. One of the top primary drivers of currency trends is benchmark interest rates. If rates for a given currency are rising, or expected to rise, faster than those of their counterparts (remember, currencies always trade in pairs), that currency will appreciate versus those counterparts. For example, except during times of extreme fear (which drives up prices for safe haven currencies like the USD and JPY), the only times the USD manage a sustained uptrend is when markets believe US rates will rise faster or sooner than previously believed. Unless Kostohyrz’s forecasted interest rate spike happens, the USD could actually weaken. Remember that the USD tends to perform like its fellow safe-haven currencies (moving in the opposite direction of stocks and other risk assets) except for when a “risk-on” event also raises the chances of a USD supportive move like a rate hike or something else the market sees as USD supportive, like a faster end to Fed stimulus. Those not familiar with how the USD and other currencies correlate with risk and safe haven assets, or with the distinction between risk and safe haven assets, see here. Those seeking greater familiarity with what fundamentals drive currencies in the short and longer term and find a good overview in Chapter 6 of my book. You can view parts of it here via the “Look Inside” feature, or search for other free online articles on the topic. That would be bullish for USD versus other currencies as its improving yield advantage overrides other forex market drivers. The prospect of higher rates, which draws demand for the USD from yield seekers buying USD denominated assets. A sustained period of strong risk aversion, which brings demand from those seeking safe-haven currencies and assets. If Kostohryz’s forecast is correct, then we have rising risk appetite. So the only thing that can boost the USD is an actual rate spike or sustained expectations of imminent rising rates. Note also that spiking US rates risks another “taper tantrum” bearish market in risk currencies as well as other risk assets like stocks. Emerging market currencies could dive again as rising USD yields (and lower risks compared to emerging markets) draws capital into USD denominated assets. The USD falls versus most other currencies as it lacks both the appeal of higher yields and of higher risk currencies that tend to rise with rising risk asset markets. Then the USD rises versus most or all other currencies due to its rising yield advantage, and those same yields pressure other risk assets like commodities and stocks. Commodity currencies (AUD, NZD, CAD) suffer more due to their sensitivity to commodities. The EUR suffers more because it tends to move in the opposite direction of the USD. If we get continued slow US recovery and low rates, currencies remain in their longer term trading ranges, with fluctuations or breakouts from those ranges depending on other factors besides US growth and rates. In that case US rates likely remain near current levels. The USD’s fate then depends on overall risk appetite. It could make a sustained move higher only if we get a sustained bout of risk aversion that drives investors into the USD and USD denominated assets. We could think of other variations too, but we’ll stop here. This is a useful and thought provoking forecast. Even its weakness, its failure to build a compelling case for strong spike in consumer spending that drives the rest of the conclusions, stems from Kostohryz’s correct, firm adherence to the evidence extant. It’s just that his conclusion that “Pent up demand will drive accelerated growth in consumer spending…” seems a bit of a stretch given the evidence he presents. Judging from his tone at times, I wouldn’t be surprised if he suspected the same. Without the big boost in consumer spending, however, the rest of the forecast looks shaky. The forecast for benchmark US 10 year notes (currently ~2.8%) also depends on the FOMC’s inability to keep rates down below ~3.5% or at least prevent a sudden spike. Maybe, I don’t know. The forecast doesn’t get into how he reaches this conclusion. The bullish conclusion about the USD is also far from clear unless he’s right about US rates spiking higher, AND even then, it works only if that spike is larger than those of other major currencies. Finally, remember that even if the predicted strong US growth happens, it doesn’t mean that risk currencies, stocks, and other global risk asset markets continue rising. See here for an explanation from Warren Buffet. We encourage you to read the full article.